Note: Name of minor child or his parents are not being published. Attorney Chris Davis has filed a civil lawsuit on behalf of a child who was injured in an accident at Camp Long in West Seattle in October of 2015. 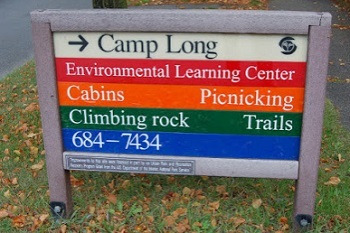 According to the complaint for damages, in October 2015 the child was an attendee of an overnight field trip at Camp Long, in West Seattle. At approximately 6:00 p.m., during a pre-dinner break, CHILD and friends were playing on a standalone platform with a set of stairs at Camp Long. The platform is part of the park’s Challenge Course, an obstacle course that included other structures. The stairs did not have any backing, guard rails, or side hand rails installed. While on the top platform of the stairs, approximately four feet from the ground, another child grabbed CHILD while climbing the stairs to keep his balance. CHILD then lost his balance and fell from the platform to the ground, landing face first. As a result of the fall, he suffered injuries to his head and face. The complaint for damages alleges that the city had been previously informed and/or warned, and was also aware, of an unsafe condition on the stairs due to the lack of any backing, guard rails, or side hand rails. And the city had been previously informed and warned, and was also aware, of injuries occurring on the stairs due to the lack of any backing, guard rails, or side hand rails. CHILD, who was taken to Harborview Medical Center suffered a concussion, broken nose, and other facial injuries.